The facts of residential real estate have remained consistent in 2017. 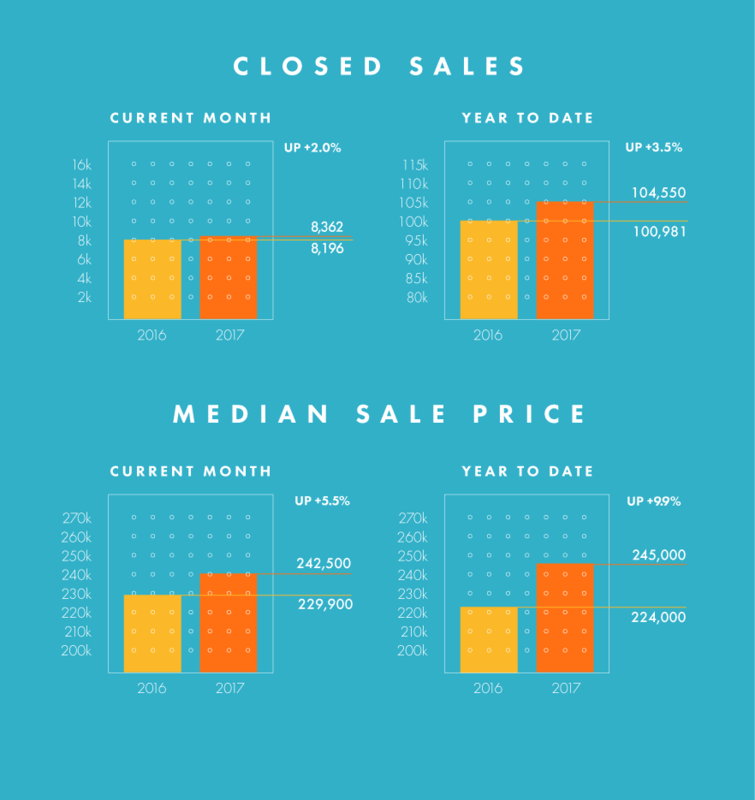 In year-over-year comparisons, the number of homes for sale has been fewer in most locales, and homes have been selling in fewer days for higher prices. This hasn't always been true, but it has been a common enough storyline to make it an overarching trend for the year. New Listings were up in the North Texas region 4.1 percent to 9,318. Pending Sales decreased 4.6 percent to 7,224. Inventory grew 1.0 percent to 24,651 units. Prices moved higher as Median Sales Price was up 5.5 percent to $242,500. Days on Market increased 6.8 percent to 47. Months Supply of Inventory was down 3.7 percent to 2.6 months, indicating that demand increased relative to supply. New tax legislation could have ramifications on housing. The White House believes that the tax reform bill will have a small impact on home prices, lowering them by less than 4 percent, and could conceivably boost homeownership. The National Association of REALTORS® has stated that eliminating the mortgage interest deduction could hurt housing, as the doubled standard deduction would reduce the desire to take out a mortgage and itemize the interest associated with it, thus reducing demand. This is a developing story.